Have you ever seen a bed suspended from the ceiling? 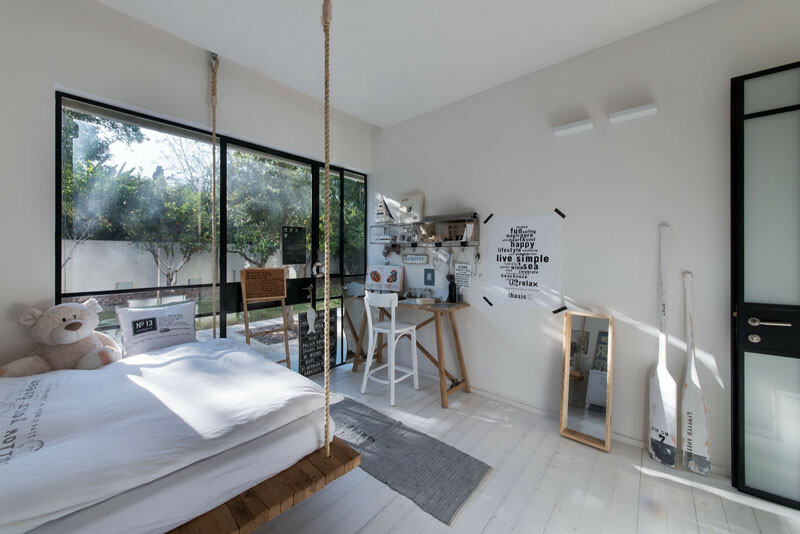 When Neuman Hayner Architects were designing a new house in Tel Aviv, Israel, they included this bed in one of the teenager’s bedrooms. The bed is suspended from the ceiling using heavy duty rope and fixtures. It’s an interesting experiment, but we’re not sure how well it would work. Maybe suspended beds will become a surprisingly popular novelty, and they’ll be the equivalent of the water-bed trend in the 1980s?